Video and voice may be the hot new content platforms in marketing, but nothing beats a well-written blog post for getting people’s attention. Blog posts can be useful marketing tools, can boost your SEO, and help your overall brand presence online. When you first start dabbling in content writing and marketing, there are a lot of questions that you need to answer. What topics should I focus on first? What platform should I use to host my blog? What’s the best way for me to promote my work? Grappling with those questions can take a lot of time and energy, so it’s understandable that some people may not ask themselves one of the most important questions surrounding content marketing. Have you ever found yourself asking someone how long should a blog post be? If you want to know how long you should make your future posts, you’ve come to the right place. We’re going to talk about everything you need to know about blog post length. When you first start out writing for the web, it can be easy to get caught up in some of your old writing habits. Most people approach writing from an academic standpoint because they’re most familiar with writing for school. Word counts and page lengths were important when you were your history term paper, but they won’t matter much for your blog posts. Essentially, there is no perfect length for blog posts. There are no right or wrong amount of words to have when you write content. Your blog post needs to be able to properly communicate your ideas. 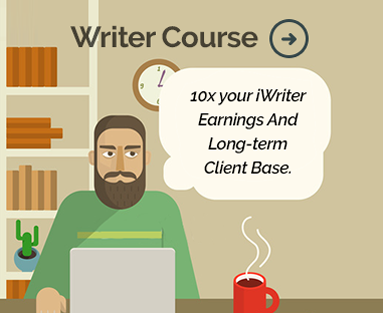 You may be able to write 2,000 words on a topic you’re passionate about. You could write 500 words on a topic you’re a master in. Either way, as long as you convey the important points you wanted to hit on, your blog post is just as long as it needs to be. A lot of things affect how long your blog posts end up being. Some matters may come down to personal preference, but there are some factors you should consider when you’re thinking about the length of your post. When you think about the length of your post, you need to take time to think about why you’re writing a post. Are you blogging because you want to establish yourself as a thought leader in the industry? Your posts may tend to run a little on the long side if you’re writing about a topic you’re intimately familiar with! Have you started blogging because you need to improve SEO? The more text you can give Google bots to comb through, the better it is for your ranking. If you’re writing for SEO purposes, keep in mind that the content you write should be well written and informative above all else. Producing long and poorly-written content can cause more harm than good. Visual content can add a lot of extra qualities to your written content. An infographic could expand on other topics in your post. A video could be used to summarize your content and can be shared on other platforms. If you plan on adding a lot of photos and videos to your content, you may not write very long posts. The visuals you add could cut down on the amount of content you have to write. How often do you plan on posting content to your blog? The number of posts you plan on doing each week or month could affect how long your content ends up being. If you plan on posting to your blog three times a week, it may not be realistic for you to write 1500 words for each post. You may consider writing shorter posts to keep up with your schedule. People that plan on doing a post a month or a post each quarter can consider writing longer form posts. You’ll have a lot more time to put into writing content in that case. Because blog post length can be so situational and subjective, it can be hard to figure out the right thing to do. Sometimes the only way to learn about proper post length is to practice writing. As time goes on and you learn more about your audience and each post’s performance, you’ll have a better idea of the best length for your posts. When you’re starting to write, remember to keep these things in mind to make a great post. If you want to write posts that will perform well on your blog, you need to understand your audience and competition. Take a look at some of your competitors and see what they’re doing in content marketing. Look for businesses and companies you admire and try to see how long their posts tend to be. When you’re first starting out, try writing some short form and long form posts to see how they resonate with your audience. Use analytics to see how long they’re staying on the page and if they’re clicking on links. Do you feel like your posts are running too long? If you find yourself getting too verbose when you write, try to condense some of your points down into bulleted lists. Bullet points help make content easy to scan, and can make it easier for your readers to identify the most important points you’re trying to convey. When you find your posts running too long, go back and see what you can edit down into lists. Adding a few can make a meaty post easier to digest. Long paragraphs can be difficult to read online. If you use very long paragraphs, your readers can feel like your post is going on for too long and they could feel a little “lost” in your content. In general, try to keep your paragraphs to about 3-5 sentences long when you’re writing online. This makes the text easier to read. Also, be sure to pay attention to the length of your sentences. A three-sentence paragraph that goes on for nine lines can be too difficult to read. You no longer have to ask yourself the question “how long should a blog post be”. Now you know that posts can be any length you want or need! As long as the content is well written and useful, your post is the perfect length. Now that we’ve mastered posted length, you may be thinking about other ways to improve your blog. There are a lot of cool new blog marketing trends in 2019. Check out our post on the five trends we think everyone should be doing this year.